Guntamatic 198kW Powerchip boiler system including flues and thermal store. Distribution pipework including internal connections to plate heat exchangers. A project of this size would gain approximately £23,000 every year for 20 years, index linked to inflation. 4-5 years (if combining RHI income & fuel cost saving). 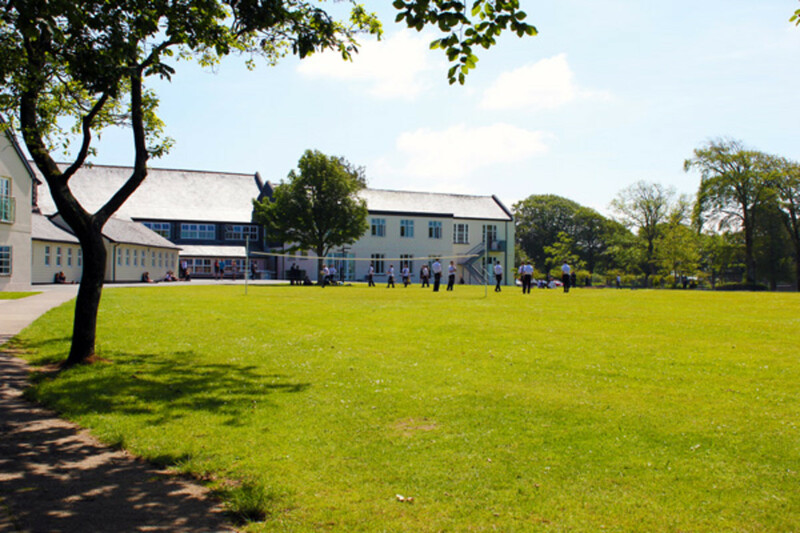 Shebbear College is one of the oldest schools in Devon and draws upon a 175 year history. Pupils are educated within an 85 acre site in one of the safest and most idyllic campuses in the UK. As part of the Eco Schools group, the school wanted to reduce running costs and CO₂ emissions by moving to biomass from oil, in addition to a range of other renewable energy and heating projects. 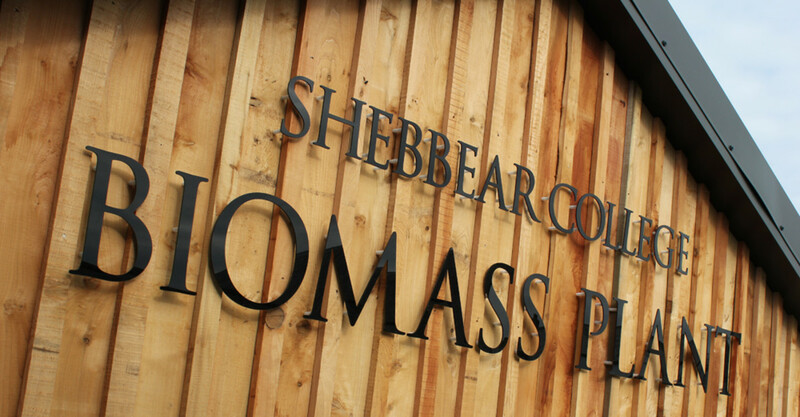 A new sustainability suite located next door to the biomass boiler plant room will provide a focal point for ensuring that being sustainable is well ingrained in the education provided at Shebbear College. Treco supplied and installed a top of the range 198kW Guntamatic Powerchip biomass boiler system. The boiler was fitted into a brand-new, purpose-built boiler house with an integrated wood chip fuel store. The biomass plant room was linked to the main school building with 98m of insulated underground pipe. A heat interface unit was fitted into main school building, complete with an RHI compliant heat meter, heat exchanger and controls. Shebbear College has gained Renewable Heat Incentive (RHI) accreditation. This enables them to gain payments per kWh of heat generated by submitting quarterly meter readings to Ofgem. These payments and the fuel cost savings make the project not only environmentally, but financially rewarding. A project of this size would gain approximately £23,000 every year for 20 years, index linked to inflation. The project was judged to be a success and the school is currently considering a second biomass boiler system to remove the remaining oil heating. A top-of-the-range, fully automated 198kW Guntamatic Powerchip biomass boiler system. 2 x 3.5m agitators allowing 25m3 of wood chip storage, per fuel store, minimise the annual fills. 98m of twin underground insulated pipe. Biomass boiler plant room with the main school building. Heat interface unit with RHI eligible ultrasonic heat meters, complete with certification. Full assistance with final RHI application including schematic drawings. Delivery, installation, commissioning, programming and end user training.